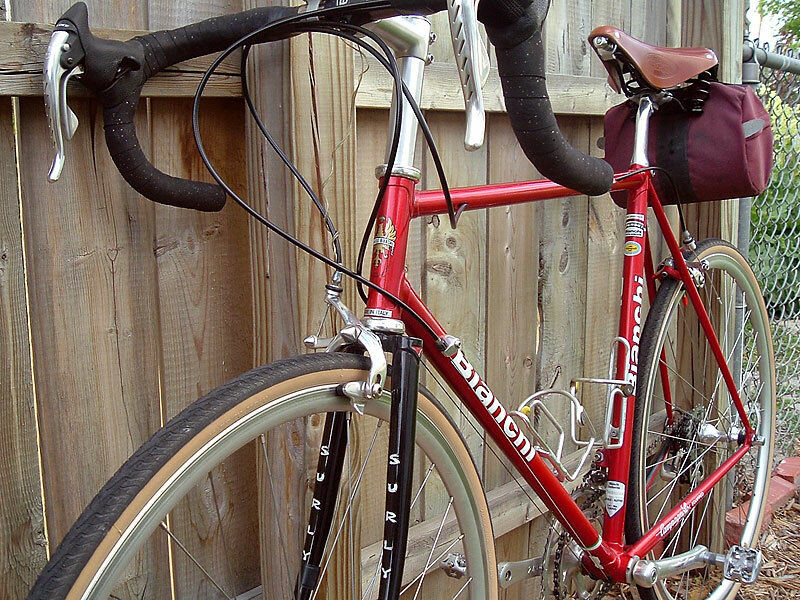 This is my 1996 Bianchi Veloce. 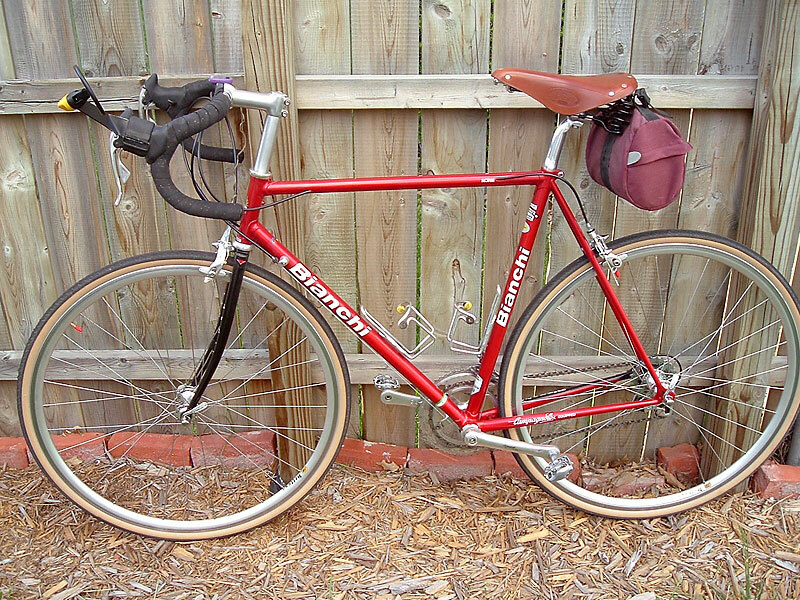 I bought it new and rode it "racer mode" (ie: low bars, minimalist saddle, I even had a (gasp!) carbon fiber fork on it for a while. I've done quite a number of centuries on it as well as a couple B.R.A.N. rides. (Bike Ride Across Nebraska).But I was never totally satisfied with the fit. I actually got away from riding for several years because of the pain it was causing. 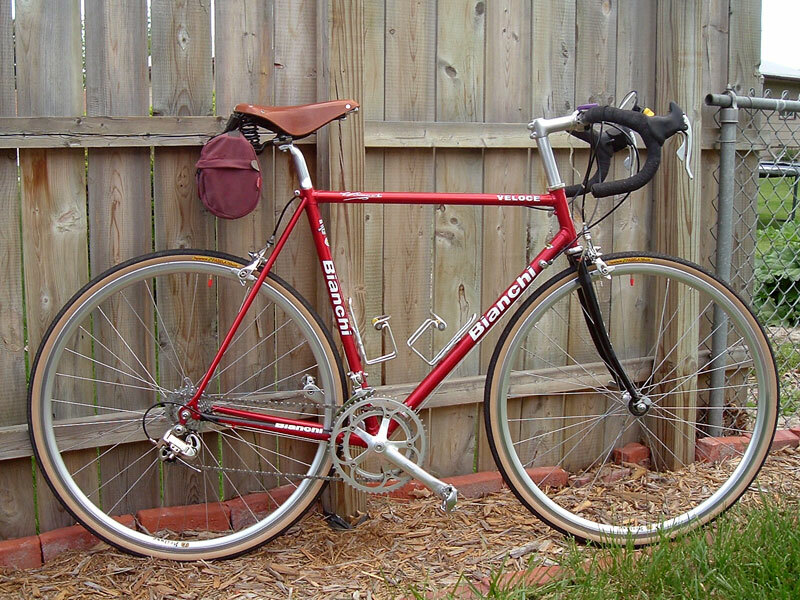 Then I happened across sites such as yours that showed touring bikes and "classically" set-up bikes. I've been reborn. And I thank you. I using it for daily commuting and hope to get back to extended rides again. 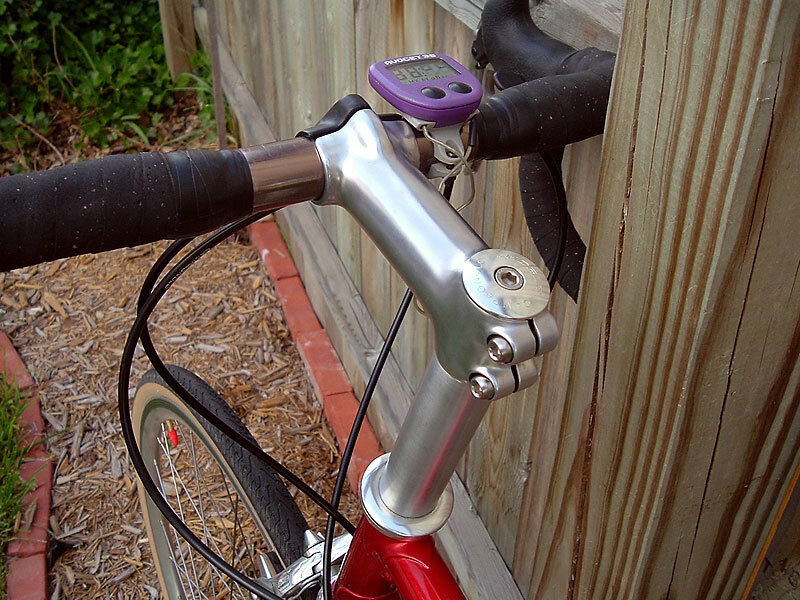 1" Chorus threadless headset, homemade headset spacer. 100mm self-polished Ritchey threadless stem. Veloce monoplaner brakeset (Some of the best looking/working brakes IMO). 8sp Campy Veloce Ergo brifters. 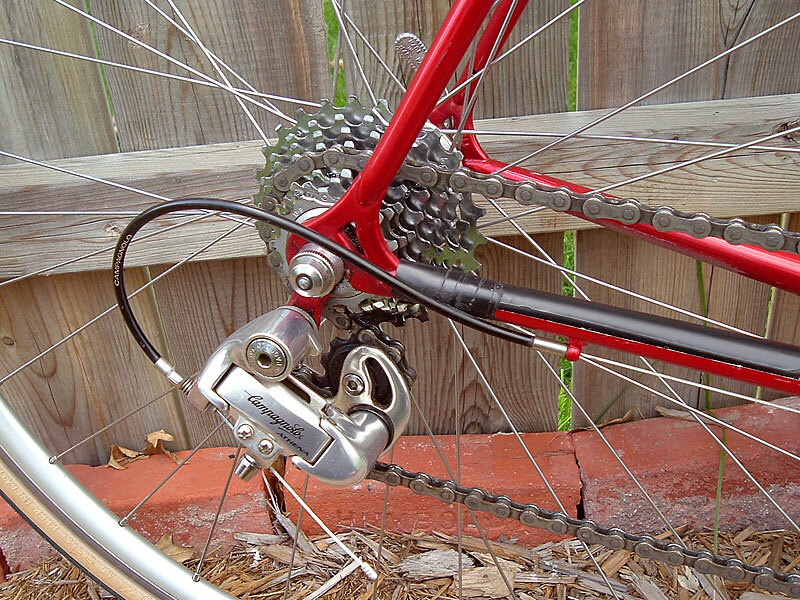 Campy Record downtube shifter cable stops. Veloce crankset. Nameless SPD pedals. Campy Record chain. Veloce frt. der. Campy Chorus seatpost and Campy seatpost bolt. Future plans include possibly fenders and painting the fork to match the frame.